Microfinance is the financial services for the small business or groups for baking related services. Microfinance can be referred as movement. Microfinance is the innovation of the new market for the poor people for financial services. Through this innovation Micro Finance provides solution to the asymmetric information and cost problems which are related to the poor people and small business. Micro Finance has been considered as the business innovation. Through micro finance the small and medium business can be supported in rural areas to have proper growth with lower tax. Through the micro finance the lower income people or households are encouraged to have permanent access to have better or higher quality services in finance. This is a business innovation management as through this discovery the small businesses are having proper growth with lower debts. As the organisational entity has been offering the services to other business entity in the developing countries this can be considered as the business innovation. The microfinance has been innovated through many diffusion stages with wide spread adaption of innovation. 1. What is the principal agent problem? Explain carefully and give an example outside the area of microfinance. Example: a firm employs a new employee who has the responsibilities to examine the competing bids and prepare reports on each material. The employee can favour particular suppliers for the bids with unrelated reasons with the merit of proposal or the employee can make up the facts without thoroughly researching the data or facts. 2. Brief discussion of microfinance using the principal-agent framework. In particular. Micro-finance is one type of banking service which has been provided to the low income individuals or unemployed or to some groups who are unable to have access to finance services. 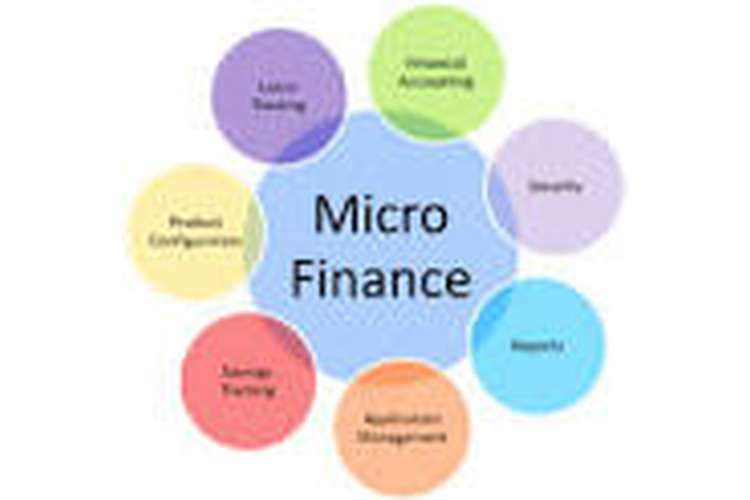 micro financier is the organisation or the person who is offering the micro finance service with the goal to provide an opportunity to the low income people on becoming self sufficient by providing insurance, opportunities in borrowing money and save money. (Mersland, and Strøm, 2010). The agent is the agents are the one who have the duties to do the work which are aligned by principals by following the predefined terms and contract. If the incentives of the work are not aligned within those of the principal then the agents have got the motivation and the ability to work or act against principal’s interest. Within the example the employee is the agent. Principal agent problem occur while the employee who has been employed do not act according to duties and the principal is unable to monitor the work. As the interests of the agent are not aligned perfectly the principal can monitor the actions of the agents imperfectly. The agents are capable of advancing their own interest at the expenses of those of principal. By increasing the monitoring of the employee the principal or employer can respond to the principal agent problems. 3.What is the social responsibility challenge micro-financiers should meet? With the experience Hugh Sinclair presented that in countries like India the micro financiers in many cases are not helping the poor people in raising their incomes rather suicides are increase with the misconduct of the money-lenders. Within the microenterprises the child labour is also increasing. (Srinivasan, 2010) To improve the adverse situation the women and the people who are taking loans should be empowered by giving them proper education which will make them able to decide themselves. As a policy maker I will choose the second option of taxing the rich and redistribute the poor. The redistribution of the cost will lead be done through the taxation. In order to reshaping of the tax deduction should be done to deduct the tax of the poor people and low and medium income family. Through the taxation of the rich people and higher revenue business the micro finance facility can be provided to the poor people. The higher tax to the rich people will make the nation able to redistribute the wealth among the poor people. A progressive income tax will provide the ability to redistribute the tax. Through this policy the higher tax rate income person will give more tax to government than the lower income person. This will maintain the degree of wealth among all levels of society. In order to alleviate the poverty from my native country the redistribution of wealth through taxation of richer people the economic stability can be can be gained. Through the redistribution of wealth the lower income family can be provided with better opportunities financial system. Through this taxation policy the micro economic wide base can be provided with better opportunities by the nation rather than the selected individuals. (Armendáriz, and Morduch, 2010) Through transfer payment method redistribution the nation can be able to lower the rate of inequality within the wealth by benefiting the poor and giving them the opportunity to pay no tax or less tax. These methods will also provide the ability to the society on controlling how the funds are being spent. Armendáriz, B. and Morduch, J., 2010. The economics of microfinance. MIT press. Banerjee, A., Duflo, E., Glennerster, R. and Kinnan, C., 2015. The miracle of microfinance? Evidence from a randomized evaluation. American Economic Journal: Applied Economics, 7(1), pp.22-53. Bateman, M., 2010. Why doesn’t microfinance work. The Destructive Rise of Local Neoliberalism. London.